It’s Top Ten Tuesday! 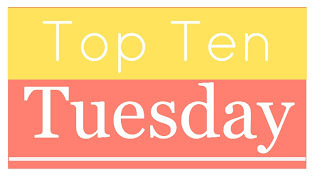 Top Ten Tuesday is a feature hosted on Tuesdays by The Broke and the Bookish. The theme for today is the top ten books I’ve read so far in 2015. This year, the hype has been strong. And when I say strong, I mean overwhelming. Ahh, ACOTAR. 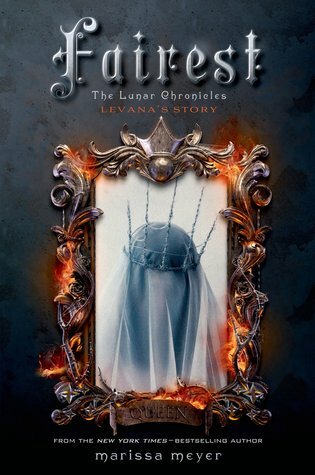 Possibly the most hyped book I’ve read this year, and Sarah J. Maas hasn’t failed to deliver on that hype. There were certain parts to this book I didn’t agree with, but overall, amazing. This is a book that I would recommend to the right person, and one that I will be buying for myself. 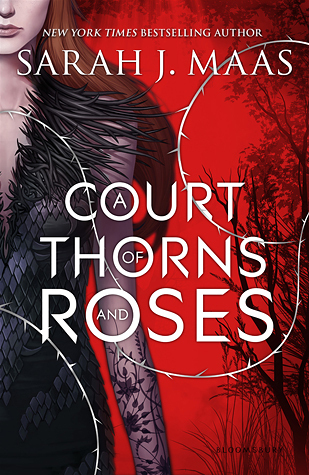 For those of you who didn’t like the THRONE OF GLASS series or are holding out on Maas’ writing, I would for sure invite you to give ACOTAR a try. NIL UNLOCKED was one of my anticipated reads of 2015. It is a sequel, the sequel to NIL, and I was looking forward to enjoying it. However, it wasn’t one of my most anticipated reads. I loved NIL, but I thought I would end up finding a lot of the same problems I had with NIL in NILU. I had wanted NIL to be more, to be more about survival and less about the romance. More creepy, less doe-eyed. That is exactly what I got in NILU, and I was blown away by this read. For anyone who didn’t enjoy NIL, I would seriously recommend looking into NILU, because it’s really different from the first book in the series. Great story with an awesome ending and cast of characters. I won’t be forgetting REMEMBER ME anytime soon. While this book isn’t as well known outside the blogosphere, I had huge expectations for it. Not only are the main characters one of my biggest ships, but I’m in love with the way that Romily Bernard writes. The premise and plot are fantastic, and I love getting to know each and every single character. 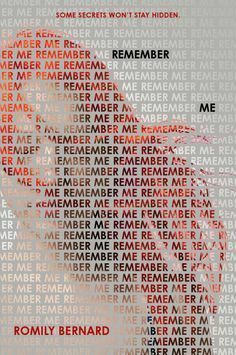 After the first book in the series, FIND ME, I didn’t think that REMEMBER ME would live up to my expectations, but it did. I can’t wait to read the next book in the series! 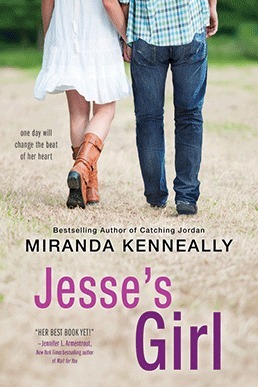 While Miranda Kenneally is a great writer and I do enjoy her stories, I didn’t expect to love JESSE’S GIRL the way I did. This book came extremely close to touching CATCHING JORDAN’s spot as my favorite Kenneally book, and that was amazing for me. The romance between Jesse and Maya is pitch-perfect and it’s cute without being overwhelmingly so. The plot line is believable and I really enjoyed how the relationship between Jesse and Maya grew. I’m so excited to see these characters again, and I’m glad that I got to meet the two of them. There are the books that you know you love right away. Then there are the books that you read, only to find out some time later that you actually didn’t like it or actually did love it. 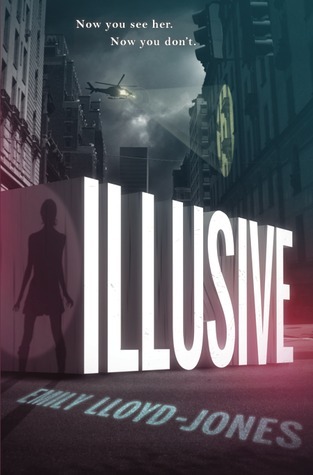 There are some stories that take awhile to stick with you, and ILLUSIVE was one of those books for me. I didn’t realize how much I loved it until I started recalling parts of it from time to time while I was reading. ILLUSIVE really surprised me, and I’m glad I decided to try it. There are some great twists and turns to this story, and I ended up loving the characters. Looking forward to reading the sequel soon! 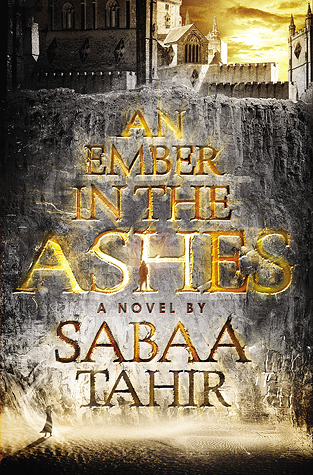 AN EMBER IN THE ASHES is a story that I decided to read solely based on the hype. Sure, a story set in Rome. Sounds cool enough, but the blurb was just vague enough that I wasn’t really all that interested in it. As for the cover, I’m one of the few people out there who seems to dislike the cover. It’s a little… much. Nevertheless, I ended up loving this book. It really captures a look into the world of Rome, the careful balance it hinged upon. I got sucked into the characters, the world-building, and I grew to love all of that. If you aren’t one for complicated love lines, you won’t like this book, because AN EMBER IN THE ASHES goes deep to the point where you can’t honestly tell who will end up with who. Great, extremely well plotted story that I loved every minute of. SEKRET is another one of those books that startled me. For a long time, I put off reading it, but when I finally got to it, I couldn’t stop reading. Very rarely am I so swallowed up into a historical novel, and SEKRET managed to pull it off. Granted, it does have magical or supernatural elements, but it deals with it incredibly well and makes it believable. 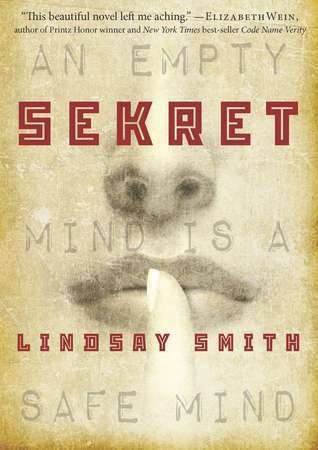 Throughout the entire novel, it was clear that Smith had done her research. There was so much to see, so much depth to what was going on in each scene, and I really appreciated that. It wasn’t a perfect novel, but it was one that ended up being very memorable. I recently got my hands on an ARC of DREAMSTRIDER, the start of another series from Smith, and I can’t wait to dive into another one of Smith’s worlds! I’ve been a fan of Ann Aguirre’s since I first read ENCLAVE but I wasn’t sure what to expect when faced with one of her realistic fiction novels after only reading her fantasies and dystopias. Often times, authors are labeled as fantasy authors or contemporary authors, but many are branching out into different fields, and doing quite well in those fields. Aguirre is one of those authors. 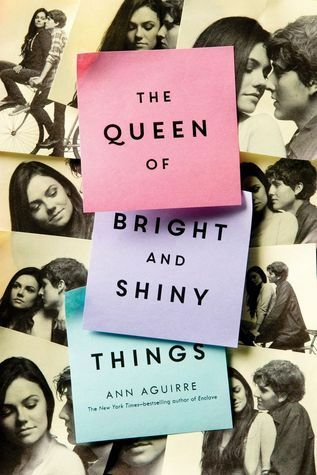 THE QUEEN OF BRIGHT AND SHINY THINGS ensnared me from the very beginning, spinning words into a world that’s like our own, but different, but the same. Sage isn’t a heroine that’s incredibly troubled, but she has her own share of problems, and she finds a boy that has his too, and they help each other to overcome those problems. All in all, this is an amazing story that deserves more credit. It’s a quiet sort of contemporary, but beautiful and loud and heartbreaking all the same. EVEN IN PARADISE is a story for fans of THE GREAT GATSBY retellings. Normally, I’m not into these kinds of stories, but went into this novel simply out of curiosity and love for the cover. In short, I really didn’t expect to enjoy it, but I did. Even now, I don’t have the full words to describe this book. It’s poetic. The prose is beautiful and the lessons behind this book are deep. No, this isn’t THE GREAT GATSBY. 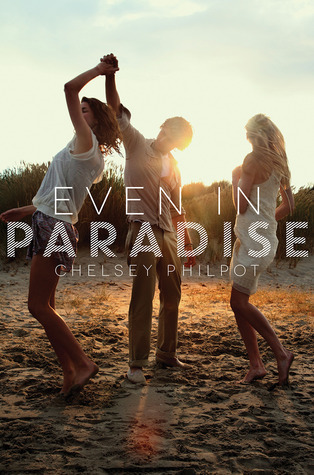 It’s something entirely Chelsey Philpot’s. The ending isn’t wonderful, isn’t pretty and, sure, not even completely fulfilling. Still, it’s perfect for this book. That’s the way this entire story is. It’s a weird sort of story, but one I really enjoyed. Keep in mind these are books that I read in 2015; they’re not necessarily books that were published in 2015. For awesome books that might have been pubbed in 2015 but I read in 2014, check out my favorite books of 2014! What are some of your top ten favorite books you’ve read in 2015 so far? Leave a link with your Top Ten Tuesday post and I’ll check it out.